Akwa Ibom State Polytechnic, Ikot-Osura [Akwa Ibom Poly] National Diploma Part-Time / Evening Admission Screening Exercise Schedule, Date, Time and Venue for 2018/2019 Academic Session. This is to inform all prospective Part-Time National Diploma (ND) candidates seeking admission into Akwa Ibom State Polytechnic, Ikot Osurua that the Admission Screening Exercise has been scheduled for Saturday 5th January, 2019. 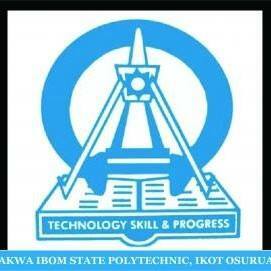 Recommended: Akwa Ibom State Poly ND Evening/Part-Time Admission Form 2018/2019.